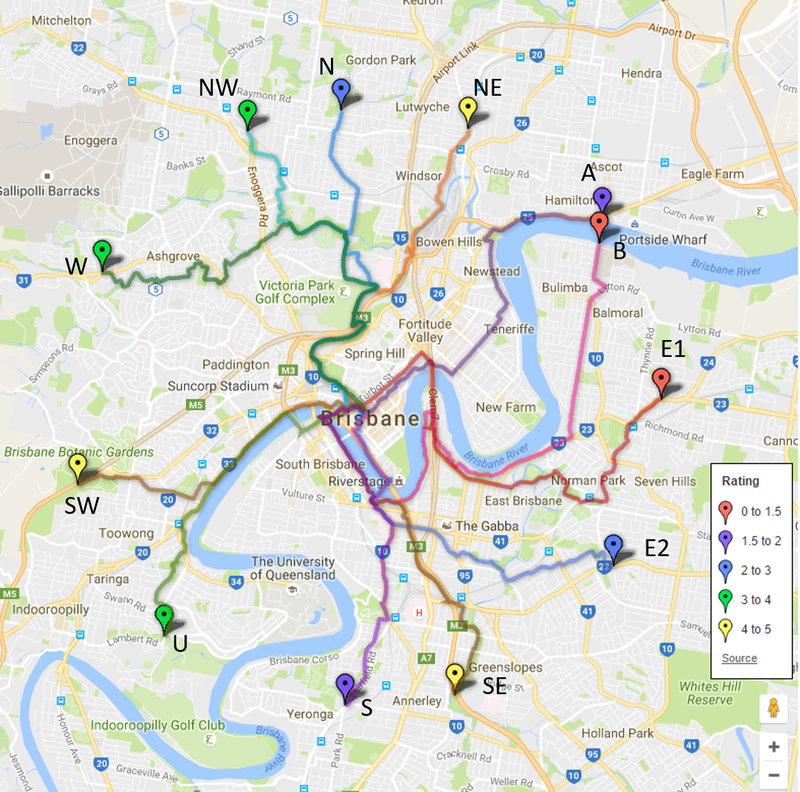 Brisbane City Council today released the Kangaroo Point Peninsula draft renewal strategy, which will set the direction for the new neighbourhood plan. The top 4 priorities raised by those who provided input to the draft strategy related to active transport, public transport, and creating a local hub – demonstrating a desire for a walkable community. Given the proximity of the Kangaroo Point Peninsula to the CBD, South Bank, Fortitude Valley, etc it’s absurd that according to the 2011 census, 48% of residents still drive their car to work! We think that reflects the poor quality of the active transport connections (including poor options for walking to the public transport stops). Residents in the area clearly want better alternatives. Undertake feasibility studies into the design and construction of the Mowbray Park to Dockside section of RiverWalk. This was the subject of the first ever e-petition to Council in May 2013 when 112 people petitioned for the money to complete the riverwalk to be included in Councils the 2013-14 budget. We suggest that Council have had plenty of time already to look into the feasibility of this obvious project, and it would be more appropriate to start work on building it in the “short-term” (1-5 years). Similarly, action to address the underpass between Deakin St and Thornton St (which is currently not accessible for anyone not able to use stairs) is listed for medium term consideration, when this is already desperately overdue. It’s good to see the City Centre Bridge (a pedestrian and cycle bridge linking the city centre to the Kangaroo Point Peninsula in the vicinity of Scott Street and/or Thornton Street) very much back on the agenda, but again, this has been included in plans for Brisbane from the mid 2000s, so it would be nice to think Council would not wait another 5 years before taking any action! Information about the Kangaroo Point Peninsula neighbourhood plan is available on Council’s website.